IOScope 2.0 is now available for download on the App Store. 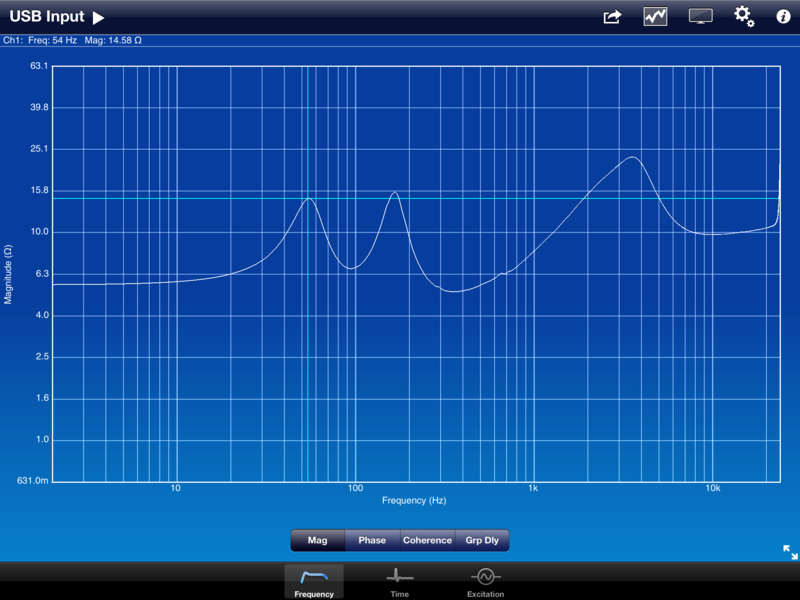 Measure frequency response magnitude and phase, coherence, and group delay. Time domain functions enable you to measure impulse response and auto/cross-correlation. IOScope includes a built-in signal generator for producing suitable excitation signals to analyze your system or device under test (DUT). The reference signal can be taken from the internal signal generator or from an external source (when using an external reference, a stereo audio input device, connected to the dock connector, is required). IOScope now runs natively on iPad, as well as on iPhone and iPod touch devices. iPad retina display resolution is fully supported. 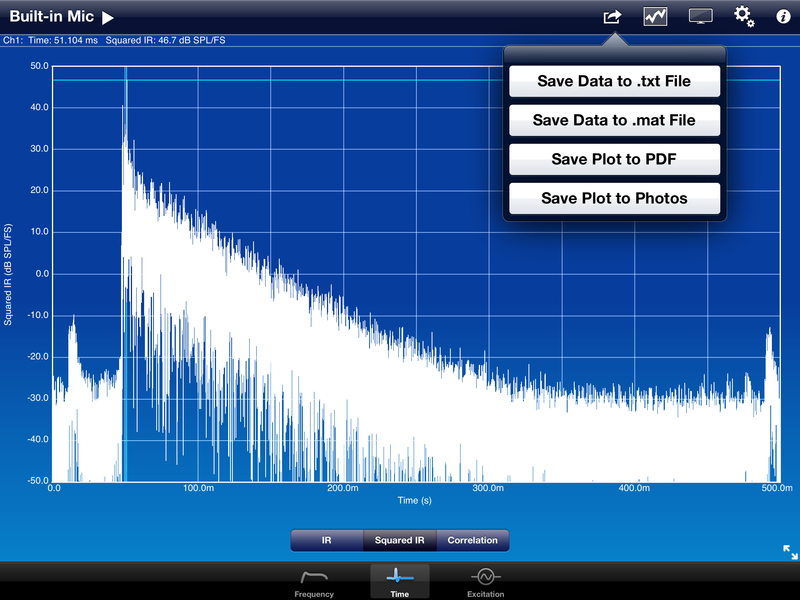 Analyzer plots can be saved to PDF files in addition to jpeg image files. Data files are accessible via iTunes file sharing, in addition to the app’s built-in web server. Data files, including text and PDF files, can be previewed or printed within the app or optionally opened in another compatible app. Three color schemes are supported, offering black, blue, and white background colors (white may be preferred for printing results stored in PDF or jpeg images). In landscape orientation, the new full-screen mode hides the toolbar and tab bar to maximize the size of the analyzer displays. IOScope offers enhanced support for audio accessories, connected via the 30-pin dock connector. Software-selectable options for the GuitarJack and GuitarJack model 2, from Sonoma Wire Works, may be adjusted directly from within IOScope. IOScope now supports multi-channel USB audio devices, connected to any iPad model via the iPad Camera Connection Kit. External displays are supported on iPad (up to 1920×1200 resolution on iPad 2 or 3; up to 720p on the original iPad). External display resolution is dependent on the screen resolution as well as the video output adapter connected to the iOS device. IOScope 2.0 requires iOS 4 or later, and is now available for download on the App Store for $74.99 (USD) in the Utilities category.